John Fetterman, the charismatic and tattooed mayor of this Pittsburgh suburb who ran a fiery but unsuccessful campaign for U.S. Senate last year, announced his campaign for lieutenant governor Tuesday morning. “I’m going to be going out all across Pennsylvania, campaigning town to town [in] many of these forgotten places — second-chance cities, whatever you want to call them — that have become my professional passion,” he told about 100 supporters in a Braddock theater space. His campaign was endorsed by Pittsburgh Mayor Bill Peduto. Peduto said that although much of contemporary politics foments division between communities, “There’s no one talking about the similarities” between the challenges faced by inner-city communities and more rural areas. “What is needed … is somebody who can not only speak for all, but who has proven through their leadership in a community that has been knocked down to its knees,” he said. Fetterman grew up in York, and earned a master’s degree in public policy from Harvard University. He moved to Braddock after participating in an Americorps program that helped people earn high-school equivalency degrees, and ran for mayor in 2005, winning by a single vote. Outside of Bernie, Fetterman was in the running for my favorite candidate in 2016, so very glad he’s continuing his quest for higher office. Me too. Fetterman is one of the good guys. Braddock Mayor John Fetterman, cargo shorts and all, is aiming for the suit-and-tie job of Lt. Gov. John Fetterman, the mayor whose efforts to turn Braddock around have drawn national media attention, announced his campaign for lieutenant governor Tuesday morning. “The reason I am running for lieutenant governor are the exact reasons I came to Braddock back in 2001” — to fight for progressive issues including a higher minimum wage, better police-community relations, and marijuana legalization, he said. “I’m going to be going out all across Pennsylvania, campaigning [in] many of these forgotten places — second-chance cities, whatever you want to call them — that have become my professional passion,” he told a crowd of roughly 100 supporters in a Braddock theater space. While mayoral powers in a borough like Braddock are largely limited to policing, Mr. Fetterman used nonprofit ties and charisma to encourage a turnaround. Amenities in Braddock now include an urban garden and a brewpub. Mr. Fetterman also arranged financing for Superior Motors, a long-anticipated restaurant run by celebrity local chef Kevin Sousa. It’s early, but the competition is already heating up for the position of lieutenant governor of Pennsylvania, which is on the ballot during next year’s election. John Fetterman, the progressive Democratic mayor of Braddock, Pennsylvania on the western side of the state, is challenging lLt. Gov. Mike Stack for his position. Fetterman says he’s not running on a campaign aimed at the embattled lieutenant governor’s non-political issues, instead, he wants to compare their work records. “I’m here to compare the 16 years of work and progress and results here in Braddock, compared to three years in his role as lieutenant governor, and that’s what we’re running on,” he said. In short, Fetterman says he wants to apply the lessons learned in Braddock more broadly and to help ensure Wolf is re-elected. Fetterman describes the governor as a firewall against what he calls a caustic conservative agenda proliferating at both the state and federal level. During his failed primary bid for U.S. Senate last year, Fetterman spoke in sweeping terms about Rust Belt towns across the state and country with similar struggles to those of Braddock. He has remained on that message in the year since and remains there now. In hindsight, some might argue that Fetterman’s Senate campaign never really ended, and that only the office being pursued has changed. Fetterman said this remains true of his platform as well. Fetterman has also said he plans to run again for U.S. Senate in 2022. Democrats won off-year elections across the country last week for many reasons, but let’s pause for a second and give Bernie Sanders some credit. Among the historic victories Democrats earned in Virginia, New Jersey, and elsewhere were a handful of out-and-proud actual socialists who won local office. It could be a precursor to an upsurge in leftists scoring bigger wins in next year’s midterms, but it’s both a validation of Sanders and proof that the movement he built during the heated 2016 primaries isn’t going away anytime soon. Other than Sanders himself, the most powerful socialist in America might now be a 30-year-old Marine vet named Lee Carter, who unseated Jackson Miller, one of the Republican leaders of the Virginia House of Delegates. He decided to run after he injured his back while working in 2015. “The treatment I got at the hands of my former employer, and at the hands of the Virginia’s worker compensation commission was so horrible that I thought, I can’t stand for this, I have to step up,” Carter told me over the phone. Carter is one of the 15 members of the Democratic Socialists of America who were elected to local and state government last Tuesday. (Full disclosure: I am also a member of the DSA.) The DSA’s success indicates a shift in the way Americans understand socialism—it was not too long ago, in a pre-Bernie Sanders America, that “socialist” was a smear, used against Obama by his adversaries. But Sanders embraced that label, and to the terror of conservatives, more and more Americans are OK with saying they support socialism—and, apparently, voting for socialists. yes! once they hear what the big, bad “socialist” candidate is actually fighting for, they are sometimes among the most passionate. people of every stripe know deep down in their bones that they are being tossed aside, and they are mad. Progressives on Tuesday urged Trump critics to voice their opposition to the tax bill that House Republicans are hoping to push through, after the Congressional Budget Office (CBO) reported that the legislation could put billions of dollars in Medicare spending in danger. Because the bill would add an estimated $1.5 trillion to the federal deficit over the next decade, the CBO said in a letter to Congress, the government would be required to automatically cut mandatory spending should the bill pass, under “pay-as-you-go” rules, also known as PAYGO. To make up for the deficit increase, the government would have to cut $150 billion in spending every year for the next decade. Under PAYGO, Medicare spending could legally be cut by up to four percent, amounting to $25 billion dollars in cuts next year for the program under which senior citizens are provided with health insurance. FRightwingnuts have been successful for decades with their lies, dumbing down the public, and propaganda. They now infect all 3 branches of government. We have the worse of the worse on display running and wrecking the nation. Last Tuesday sent a warning to them and their DINO allies. The Bernster is accomplishing his main goal: getting the American people politically (and non-violently) involved again. I would love to see a democratic voter tsunami next year. 🙂 Time will tell. T and R to the usual suspects!! In congressional Republicans’ latest move to strip healthcare from millions of Americans, several news outlets reported on Tuesday that party leaders in the Senate are adding a provision to their tax bill to repeal the Affordable Care Act’s (ACA) individual mandate, which requires all citizens to have health insurance coverage or pay a penalty fee. The nonpartisan Congressional Budget Office (CBO) estimates that repealing the mandate would, over the next decade, cause 13 million people to lose their coverage, but also reduce federal deficits by more than $300 billion. That reduction is key to the Republicans’ tax bill, which cannot add more than $1.5 trillion to federal deficits. As Chad Bolt, Indivisible’s policy manager, explained in a series of tweets, Senate Republicans are motivated to repeal the mandate not only to fulfill their campaign pledges—and repeated demands from Sens. Rand Paul (R-Ky.) and Tom Cotton (R-Ark. )—but also to free up that $300 billion to more quickly give corporations larger tax breaks. Senate Republicans decided on Tuesday to turn their tax bill into a health care bill. Senate Majority Leader Mitch McConnell (R-Ky.) announced that Republicans plan to include a repeal of Obamacare’s individual mandate in the Senate’s tax cut bill. If Republicans succeed in overturning the mandate, 13 million more people would lack health insurance, according to the Congressional Budget Office. Republicans are planning to use a procedure known as reconciliation to pass their tax bill, which will allow them to get a bill out of the Senate with a simple majority vote rather than needing the usual 60 votes to overcome a filibuster. The rules of reconciliation prevent Republicans from actually taking the individual mandate off the books, so instead they intend to reduce the fine for people who don’t buy insurance down to zero. Republicans are incorporating a repeal of the individual mandate into their tax bill for one reason: It saves money. The GOP needs to find ways to reduce the amount that the bill will add to the federal deficit, which is currently projected to be $1.49 trillion over the next decade. But repealing the mandate saves money only because far fewer people will have health insurance. The amount of money saved correlates directly to the number of people who forgo insurance, since fewer people would be taking advantage of the government’s premium subsidies and getting coverage through Medicaid. got to get rid of that tax!!!!!! It goes without saying that Sanders plays a leading role amongst the left-leaning progressives within the Democratic Party, and he influences a significant voting bloc. We all witnessed the way he was able to grow his support during his bid to be the Democratic presidential nominee. Despite losing the nomination to Hillary Clinton, the progressive movement he leads gained momentum during the election. This means that Sanders is able to get real traction on the issues that matter to him, one of which is Israel. Sanders’ actions mean that the anti-Israel argument is now becoming more legitimate. True allies of Israel cannot just sit by without responding, especially given Sanders’ outsized role within the Democratic Party. While he is free to have his own views, if the party wants to be seen as pro-Israel, then elected officials need to stand up and counter these opinions head on. Changes are afoot within the Democratic Party, with new governors coming into power in New Jersey and Virginia, and a string of state legislative election victories last week. The resurgence of the Democrats on a local level, on the heels of four successive defeats in special congressional elections during the Trump administration’s first year in office, could place President Trump under considerable pressure. What is happening is a slow anti-Israel erosion within some quarters of the Democratic Party. There are prominent voices that could turn the tide, but they need to mobilize before more damage is done. They could move the barometer on Israel and combat Sanders with one statement, but they don’t. They are silent when Israel and the Democratic Party need them most. We care, but it’s because the last thing we want is WWIII with nukes! So, will Zionism slow down the Bernie wave??? Yesterday on RT man talking about the new Silk Road, the rail system from China through the silk road to Europe. And China now providing development money at the level of the world bank. In the meantime, we have military in over 130 countries and involved in several wars. Mostly for corporations and billionaires, but also for the Zionists. Children and teenagers are frequent victims of Israel’s occupation of the Palestinian territories. They face physical abuse by Israeli military forces and are shuffled through an unfair court system without access to legal counsel or even their parents. The United States has long subsidized these abuses, giving billions of dollars in military aid to Israel every year. Now, a group of Democratic members of Congress is saying enough is enough. Rep. Betty McCollum, D-Minn., and nine co-sponsors on Tuesday introduced legislation that would require the U.S. State Department to certify every year that American military aid is not being used to fund the systematic abuse of Palestinian children. 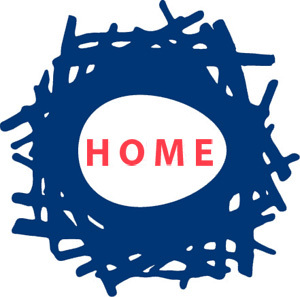 Even the sponsors are saying this vote is symbolic, but symbolism matters! Let’s see how many Democratic legislators are in Israel’s pocket. Consider the source: NY Daily News. AIPAC must be a bit concerned. Too bad! Unfortunately, Jack Rosen, the guy who wrote this piece is in denial. He reveals that he is in denial, IMO, by being critical of Bernie and other politicians who understand that Israel’s policies towards Palestinians are unjust and undemocratic. And therefore a violation of Israel’s claim on being a democratic state. I used to think the 2 state “solution” might have a chance. But now, after hearing the Israeli who is working towards one state with “justice for all” in Israel, because it’s too late after all the settlement encroachment for Palestinians to have a chance with a 2 state solution. Israelis hurt not only Palestinians but themselves when they commit human rights abuses and apartheid policies. Israel should embrace the opportunity to give their Palestinian neighbors a chance to add to the culture and make it more vibrant and healthy. Borrowing from the ideas of African Playwright Athol Fugard in “A Lesson From Aloes”, Israelis and people who support Israel should consider that apartheid not only hurts the victims but the perpetrators by closing themselves off to the cultural enrichment of friends they might find among their Palestinian neighbors. Definitely!! The same goes for TPTB’s treatment of all who are not on board and wealthy, all in the countries we bomb and/or arrange for approved governments. Their hearts and souls blacken with every day that they deny that we are all beings on this earth, all deserving of the basics in life–security, happiness (i like to say contendedness), the chance, at least, to live a vital and contented life…. love it. especially the “love, abdul” perhaps would add that polls shouldn’t replace your ears and your hearts. Testifying before the House Judiciary Committee on Tuesday, Attorney General Jeff Sessions claimed he had forgotten about a March 2016 meeting with Trump campaign adviser George Papadopoulos when he previously insisted under oath that he was “not aware” that anyone involved with Trump’s presidential run had any connections with the Russian government. At the meeting, Papadopoulos floated the idea of using his contacts with Russia to organize a meeting between Trump and Russian President Vladimir Putin. Sessions insisted that while he does not remember any precise details of the meeting—which he led—he remembers pushing back against Papadopoulos’ proposal. As Common Dreams reported last month, Papadopoulos has pleaded guilty to lying to the FBI. The provision will conserve ecological, scenic, wildlife, recreational, cultural, historical, natural, educational and scientific resources within Castner Range. The legislation also ensures that there will be no commercial enterprise, permanent or temporary road, use of motor vehicles or aircrafts and structure, building or installation of any kind on the land. And it preserves an important former military training facility — a reflection of El Paso’s strong relationship to Fort Bliss and its longstanding military and veterans’ community. Of the 48 anchor support locations inspected by Enbridge on its pipeline at the bottom of the Straits of Mackinac, the majority have missing coating. The revelations keep expanding about damaged protections on underwater oil pipelines in the Straits of Mackinac. And state officials’ ire keeps growing. For the second time in two months, Gov. Rick Snyder called out Canadian oil transport giant Enbridge, this time after state agencies announced Monday that the company had revealed “dozens” of additional gaps in the protective outer coating that the state requires on Line 5 in the Straits of Mackinac. Line 5 is an oil transmission line through the Upper Peninsula that splits into twin, underwater pipelines through the 4½-mile Straits of Mackinac before reconnecting into one line and continuing through the Lower Peninsula. The pipeline transports up to 23 million gallons of crude oil and natural gas liquids through the state to a hub in Sarnia, Ontario. The problem, of course, is money. The conservative state has stripped away its tax base in a wave of Tea Party glee. Now it’s broke and, rather than raise taxes (a budget just failed to pass in special session), it is closing nursing homes and slashing Medicaid. In Honduras, the United States willfully ignores institutional rot and buttresses crooked strongmen. we knew what kinds of people we were supporting when we “allowed” the coup to succeed. Who’s Really Driving Nuclear-Weapons Production? Despite Sen. Bob Corker’s (R-Tenn.) insistence that the congressional hearing on Tuesday about the authority to use nuclear weapons “is not specific to anybody,” it is the first hearing on this topic in decades, and comes at a time when U.S. President Donald Trump seems to have made a sport out of taunting North Korea’s leader as his nation advances its nuclear abilities. I oppose the nuke weapon ‘modernization’ program. But, Trump is just continuing the path of at least the previous three presidents. Do I trust Trump with the nuclear football? No! On the Democratic side, Hillary Clinton has been more ambiguous about her stance toward a dramatic expansion of the U.S. nuclear arsenal. Asked by a peace activist about the trillion dollar nuclear plan, she replied that she would “look into that,” adding: “It doesn’t make sense to me.” Even so, like other issues that the former secretary of state has promised to “look into,” this one remains unresolved. Moreover, the “National Security” section of her campaign website promises that she will maintain the “strongest military the world has ever known” — not a propitious sign for critics of nuclear weapons. HC said she’d “look into that”. There’s part of her problem right there. Most people know what a brush-off that is. And now that we know she has ‘public’ positions AND ‘private’ postitions, we know that she cannot be trusted to be honest and truthful. and they diss us for loving someone with those unpopular but heartfelt populist positions. When it comes to the art of the deal, at least where arms sales are concerned, American presidents, their administrations, and the Pentagon have long been Trumpian in nature. Their role has been to beat the drums (of war) for the major American weapons makers and it’s been a highly profitable and successful activity. In 2015, for instance, the U.S. once again took the top spot in global weapons sales, $40 billion dollars of them, or a staggering 50.2% of the world market. (Russia came in a distant third with $11.2 billion in sales.) The U.S. also topped sales of weaponry to developing nations. In these years, Washington has, in fact, peddled the products of those arms makers to at least 100 countries, a staggering figure if you stop a moment to think about the violence on this planet. Internationally, in other words, the U.S. has always been an open-carry nation. The decision by the US Department of Justice (DOJ) to compel the Russian-state media outlet RT (an English-language cable news network) to register as a “foreign agent” is intended to not only stigmatize its reporting as foreign propaganda but also tar anyone who appears on its programs as Russian dupes. RT will register under the Foreign Agents Registration Act (FARA) of 1938, the aim of which, according to the nonpartisan transparency watchdog Sunlight Foundation, was “To make it easier for federal counterespionage authorities to keep tabs on U.S.-based individuals and other groups helping to drum up support for the Nazi movement and keep America neutral in the war.” Amendments added in 1966 shifted its focus to political activities, such as lobbying. But whatever the legal basis for requiring RT to register as a foreign agent, the Justice Department’s decision is clearly in response to intense domestic political and media pressure. Many of the assumptions behind that pressure are dubious or based on myths. It is the case that RT is not the first media outlet to have been compelled to register: China Daily, a Chinese-state funded news outlet; NHK Cosmomedia, a Japanese TV news operation; and KBS America, a South Korean company, are also currently registered under FARA. But what makes the current move by the DOJ even more disturbing is that it is part of a larger campaign being waged by politicians and a plethora of American media organizations and Washington think tanks to purge what is relentlessly referred to as “Russian disinformation” from American political discourse. will it lead to more steps to silence voices like has happened on social media? The plan seems to be to make all non establishment views seen as traitorous. America is the bestest most honestest most peacefulest country in the world and anything we do is good because we are the ones who did it any any other views are anti American and traitorous. Orwells warnings just werent loud enough to prevent his prediction, but they were accurate enough for everyone to see our march to living in a newspeak world, like a nightmare you know the ending to but are stuck following the plot that leads there. Sometimes the crazy theories seem more reasonable than reality, like the lizard people who genetically manipulated us to acquire rare materials and eventually make the world warmer and more habitable to their cold blooded species who will then come to take over the place, being terra formed and mined for their needs by us before they get here. That almost sounds less crazy than we are just destroying our own habitat purely from greed and short sightedness, like a junky who will feed their short run addiction no matter the long term costs they know will come. I keep hearing about the lizard people. At first i thought it referred to Star Trek Enterprise–seasons 2 & 3 were the only good ones because of the lizard people and their buddies.. But it’s not the same plot. Does this refer to a book or movie? Also, you are so right!!! It almost does sound more sane than what we’re doing, and doing happily, I might add. And yes, comparison to an addict is spot on! But some of these people supposedly meditate and go to these big conferences with speakers that are sometimes preaching awareness and all. Guess they are deep into the addiction and it doesn’t help that they get feted for it everywhere they go. Thanks. I’ll look up The Arrival. I liked V and was sorry it ended prematurely. – For months, Republican leaders in Congress have promoted their tax plan as a benefit to small business and Main Street communities. Senator Elizabeth Warren joined Main Street Alliance small business owners today to talk about the truth behind these tax bills. Far from helping small businesses, the GOP tax plan is a thinly-veiled tax giveaway to multinational corporations and the richest one percent of taxpayers. Small business owners say the Republican tax plan leaves them with fewer customers while also making it harder for them to compete. The tax plan features changes to the pass-through business rate that give huge businesses, hedge fund managers, and corporate lawyers a new loophole, while also encouraging multinational corporations to stash money overseas rather than pay a fair tax on it in the United States. Furthermore, the elimination of key middle-class deductions like the state and local tax deduction directly hurt the people who patronize Main Street small businesses the most often. All of these huge tax giveaways for the very wealthy come with a deficit-exploding price tag that Republicans are already using to justify deep cuts to social programs that bolster Main Street like Medicaid, Medicare, and education. Clean Air Task Force (CATF) and the National Association for the Advancement of Colored People (NAACP) have co-authored a landmark report that demonstrates, for the first time, the specific health risks from airborne pollutants caused by oil and natural gas development impacting African American communities. The study, Fumes Across the Fence-Line: The Health Impacts of Air Pollution from Oil and Gas Facilities on African American Communities, is being launched today at a briefing at the National Press Club by NAACP and CATF, and supported by the National Medical Association (NMA). *There are 91 counties across the U.S. that are building oil refineries or where refineries exist close to more than 6.7 million African Americans, or 14 percent of the national population, disproportionately exposing them to toxic and hazardous emissions such as benzene, sulfur dioxide and formaldehyde. These “fence-line” communities, or communities where oil and natural gas refineries are placed near the property lines or fences of African American and low-income people, are the focus of the groundbreaking study, providing data on the environmental racism that activists have been fighting for decades. This is why many of us cannot hold our noses and vote anymore. Like the “defense” bill and on and on and on. Unfortunately, in the defense bill case, most Dems were in favor, except the Oregon senators, the Vermont senators, and Gillibrand. The Dem senators supporting this are the usual lousy suspects. Most Dems are not in favor. Leach is on our Candidates list for PA-7 and has a fantastic platform, as well as a voting record to back it up. The marshy expanses of the Everglades in Southern Florida contain hundreds of species of animals, including flamingos, alligators and manatees. Clusters of mangroves span its coastline, acting as ecosystem hubs, and if you take a boat through the region, you’ll see countless plants that are native to the area. In fact, the number of world heritage sites—places of supreme natural splendor and biodiversity—threatened by climate change has nearly doubled in the past three years, going from 35 in 2014 to 62 in 2017, according to the International Union for Conservation of Nature and Natural Resources. The threats facing these places are many—invasive species, logging, fires, tourism, urban sprawl, water pollution and more. But the threat with the greatest potential for harm is climate change, according to the report. An economic impact study of Enbridge’s proposed Line 3 replacement pipeline released by the University of Minnesota Duluth (UMD) was financed by an Enbridge-backed business group to which UMD has multiple close ties, all which the study failed to disclose, according to a new report. UMD Chancellor Lendley Black also sits on the board of APEX alongside fellow board member Lorraine Little, Enbridge’s U.S. director of public affairs, and UMD Natural Resources Research Institute Director Rolf Weberg sits on APEX’s Executive Committee, all facts which UMD failed to disclose in its study. The results of the study that the Enbridge-backed APEX paid UMD to produce have been pushed by APEX and other Line 3 boosters in the media and in public hearings. Other fossil fuel corporations that have publicly supported the pipeline, such as Allete’s Minnesota Power, also have close ties to UMD and APEX, the report shows. In Peru’s snow-capped Cordillera Blanca mountains, fast-melting glaciers are pushing the cobalt waters of Lake Palcacocha dangerously high, raising fears it could overflow and send a huge wave of water and mud crashing to the town of Huaraz below. Huaraz farmer and mountain guide Saúl Luciano Lliuya, who blames the world’s biggest emitters for the warmer temperatures shrinking the glaciers, will appeal his civil case on Monday against German utility RWE, which he thinks should contribute to reinforcing the lake – even though it has no operations in Peru. “The glacial melt is very fast there and some glaciers are about to disappear due to global warming,” Luciano, a 38-year-old father of two, told the Thomson Reuters Foundation by telephone from Germany. The case against RWE, which ranks as one of Europe’s biggest polluters due to its coal-fired power stations, is being closely watched as climate change lawsuits slowly stack up against some of the world’s biggest oil, power and industrial firms. Few adolescents who’ve sat through homilies would accuse priests or rabbis of lacking material. House Republicans beg to differ. Under their tax bill, religious institutions—and all nonprofits—would be able to endorse politicians for the first time since 1954. The House tax cut plan would repeal a tax provision, known as the “Johnson Amendment,” that blocks churches and other nonprofits from electioneering. The Joint Committee on Taxation (JCT), a nonpartisan Congressional body, expects that this change would lead to billions of dollars of political-spending being routed through nonprofits that can collect tax-deductible contributions without disclosing their donors. As a result, mega-donors like the Koch brothers would likely get tax write-offs for funding television ads and get-out-the-vote operations. Hardly any churches and nonprofits support the move, which watchdog groups warn could easily become the next Citizens United, the 2010 Supreme Court decision that opened the door to unlimited corporate political spending. The Senate tax bill leaves the Johnson Amendment in place, but that could change as the two chambers reconcile the differences between their bills. So much for churchgoers’ tithes going towards their pastor/minister/priest/iman/rabbi etc. etc., and the rest going towards funding community efforts aimed at relieving suffering? Would this, in effect, turn some churches into money-laundering factories? Hello? Holy Trinity? I’m considering making a large donation to your church. Also, I happen to be quite excited about ____ candidate for Governor. Do you think we’d make a good fit? And the flow of money into the political process quickens. In the wake of the October 2017 fires in Northern California, which resulted in the loss of so many lives and homes, people affected by the tragedy are grieving and bewildered. Many people are searching for answers about what caused the fires, and a way forward to prevent similar loss of life and property. Wrong. Even a cursory examination of the science of forest ecology reveals that this plan would not only destroy vast acreages of public forests, but would also put communities at even greater risk. The fires that occurred last month in California were in low-elevation foothill ecosystems dominated by oak woodlands and grasslands. The fires were far away from any national forests or other federal public lands. Eviscerating environmental laws on federal forestlands would do nothing whatsoever to help the affected communities now or in the future. Instead, what the tens of millions of Americans living in rural communities within fire-adapted ecosystems really need is for federal and state lawmakers to focus on directly protecting homes and lives from wildland fire. Less than a mile from Yosemite national park, Chad Hanson is wading through a sea of knee-high conifers that have burst from the ashes of the vast 2013 Rim fire. The US Forest Service essentially says the baby trees don’t exist. The agency says that “catastrophic” fires have “devastated” parts of the forest, painting an eerie picture of swaths of blackened tree trunks like something out of a Tim Burton film. But the vibrant green pines, firs and cedars surrounding Hanson among the patches burned during California’s third-largest wildfire tell a different story. Hanson, a California fire ecologist, is on a mission to stop the forest service from expanding its clear-cutting of trees in snag forest, the name for the burned areas. The timber is then sold to private companies to be burned for energy or for products like animal bedding. A bill making its way through Congress would allow the government to sidestep environmental laws to speed up logging in national forests, as well as the herbicide spraying that accompanies such projects. Hanson says the agency is unnecessarily clearing dead wood and obliterating crucial habitats for owls, woodpeckers and small mammals. Three conservation groups filed an administrative protest Monday against an enormous Bureau of Land Management oil and gas lease auction, scheduled for Dec. 12, that would allow fracking on more than 600 square miles of Nevada public lands. The 388,000 acres in eastern Nevada includes important regional springs and groundwater and critical habitat for imperiled species. The protest—filed by the Center for Biological Diversity, WildLands Defense and Basin and Range Watch—says the BLM has violated the National Environmental Policy Act and the Endangered Species Act by failing to analyze the risks of drilling for oil and fracking with dangerous chemicals on such a massive scale. Development of these parcels, one of the largest fracking plans in the country, could contaminate ground and surface water, threaten endangered species and cause irreparable harm to the global climate. “but i’ve got high hopes, i’ve got high hopes, high in the sky apple pie hopes”! yessiree bob. Waiting for Jesus to come back on a cream puff. What makes a lot of this scary is there is a voting block that actually believes this is all part of gods plan with all the destruction as important steps to leading us into the apocalypse, so they can be whisked away to their heavenly reward, leaving only the sinners having to deal with the aftermath with jesus coming in at the last moment to save everything. Such thinking might explain why we see little evidence of advanced species in the Galaxy, there seems to be a point where mental evolution becomes too slow to compete with technological leading to an eventual ‘caveman with a nuke’ self extinction event. We seem to have the added issue of great destruction being cheered on increasing our odds of getting it, when just a mere accident is already likely enough without any of the extra nudging. Democratic lawmakers will introduce Wednesday a bill to require federal immigration authorities to suspend their enforcement duties in areas affected by major natural disasters. One of the bill’s main sponsors, Rep. Nannette Barragan (D-Calif.), said the legislation is “a response to what we saw happen in Texas,” where many immigrants — documented and undocumented — reported being fearful of following evacuation instructions in August during Hurricane Harvey, because they might encounter immigration officials. “We want people to listen to authorities” during natural disasters, Barragan added. Under the bill, co-sponsored by Rep. Zoe Lofgren (D-Calif.), immigration enforcement activities would be suspended in areas where the president has declared a major disaster or emergency under the Stafford Act. That would force agencies like Immigration and Customs Enforcement (ICE) and Customs and Border Protection (CBP) to suspend immigration enforcement operations and initiatives. New Mexico’s state auditor will become the first Democrat to serve as Albuquerque’s mayor in the past eight years. Tim Keller won the mayoral race against Republican Albuquerque City Councilor Dan Lewis, according to The Associated Press. Keller replaces Republican Albuquerque Mayor Richard Berry, who did not run for reelection. Keller defeated Lewis by more than 20 points, 62 to 38 percent, according to unofficial results. My understanding is that he was endorsed by Our Revolution and that they volunteered for him. Our Revolution New Mexico supported Keller by volunteering on his campaign and speaking with Albuquerque voters about the importance of electing a mayor who is transparent and accountable to the citizens of Albuquerque. Don’t make me use the ‘f’ word! These are often the same people who actually believe their small arms will be enough to overthrow an oppressive government, each a Rambo in their own minds. Where I believe anyone who believes they can stand up to a hostile government and its vast arsenal is too crazy to be allowed to own such arms. They just dont get that when that amendment was written the military used the same muskets citizens did, where current reality is one mounted 50 caliber can out gun a whole division of yahoos no matter how many guns they own. People usually laugh when I tell them I am a convicted terrorist. I try not to open with that – it seems a little bit forward. First, I explain how my friend Tyler and I entered a fur farm in the dead of night. I describe the unspeakable suffering we found there. I tell people how Tyler and I opened every single cage and released 2,000 mink to save their lives. And once they have the context, I segue into the terrorism thing. Now that I have been out of prison for more than a year, I can be a bit more lighthearted about it. But the seventh circuit court of appeals doesn’t see the humor. Last Wednesday, the court upheld the constitutionality of the Animal Enterprise Terrorism Act, the federal statute that put me away for three years and that my lawyers at the Center for Constitutional Rights have been trying to challenge for nearly a decade. The Animal Enterprise Terrorism Act is a piece of designer legislation written and paid for by the agriculture and pharmaceutical industries. It federalizes non-violent property crime and punishes it as terrorism – but only when the perpetrators are motivated by the belief that animals deserve to live free from violence. A growing number of insurance companies increasingly affected by the consequences of climate change are selling holdings in coal companies and refusing to underwrite their operations. About £15bn has been divested in the past two years, according to a new report that rates the world’s leading insurers’ efforts to distance themselves from the fossil fuel industry that is most responsible for carbon emissions. Fifteen companies – almost all based in Europe – have fully or partially cut financial ties, says the study by the Unfriend Coal campaign, which represents a coalition of a dozen environmental groups including Greenpeace, 350.org and the Sierra Club. Zurich, the world’s seventh biggest insurer, is the latest to shift away from coal, announcing this week that it is pulling out of coal to contribute to broader efforts to achieve the Paris accord goal of keeping global warming below 2C. Four leading Democrats and one little-known Republican running for Michigan governor are throwing their support behind marijuana legalization ahead of a potential statewide proposal they could share the ballot with in 2018. Dude, I could use a spliff after the previous post! Plastic bits being found everywhere. Whoever began making plastic should be charged with a crime against humanity and a crime against Mother Earth on behalf of all of the creatures they have put in harm! I’m trying to reduce my consumption of plastic. It’s difficult, plastic is everywhere! Detroit had Michigan’s highest proportion of children test positive for lead poisoning in 2016 — 8.8 percent of kids tested — including one ZIP code where 22 percent were found to have lead poisoning. High blood lead levels can lead to developmental problems, behavioral disorders and learning difficulties, according to the federal Centers for Disease Control and Prevention. It’s a common problem nationwide in cities that have large numbers of homes built before 1978, when lead-based paints were banned from use in housing. Statewide, the percentage of children tested who were found to have elevated blood levels increased from 3.4 percent in 2015 to 3.6 percent last year. It was the state’s first increase, according to records dating back to 1998. Abdul El-Sayed., the former city health department director now running for governor, said he led the study on lead exposure and housing demolitions and a task force that compiled recommendations and made sure the report was made public. The report was posted online, and El-Sayed said he hopes recent media scrutiny will compel more urgent action. He said he’s disappointed that not all of the Task Force’s 18 recommendation have been implemented. “My hope is they they … will get this done immediately, because kids deserve the best and they deserve that when the city does something like demolish a home — which I think is done in part for public health purposes, that it is done with public health in mind and that it as safe as it possibly can be,” El-Sayed said. Two weeks ahead of his inauguration, Birmingham Mayor-elect Randall Woodfin on Tuesday named the members of his executive leadership team. The vast majority of Woodfin’s team has experience working for the city of Birmingham. At his announcement held Tuesday morning at the Birmingham Civil Rights Institute, Woodfin said his administration is dedicated to servant leadership. They will for the residents of all of Birmingham’s 99 neighborhoods by being efficient, effective, accountable, transparent and provide excellent customer service. “We will continue to put people first,” he said. 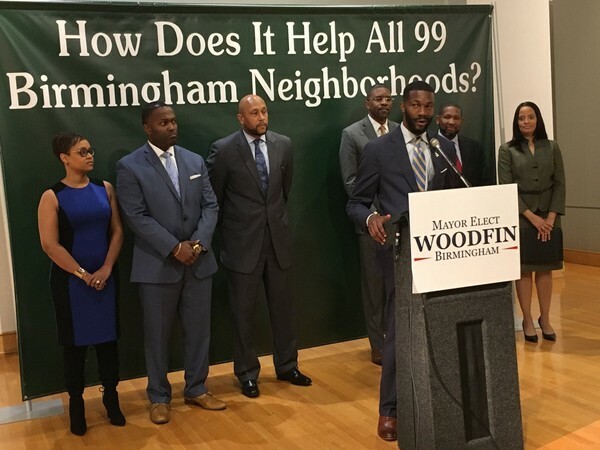 Birmingham Mayor-elect Randall Woodfin today announced members of his executive leadership team during a press conference at the Birmingham Civil Rights Institute. Dan Canon’s slogan, “You Have a Voice,” is a motto he said he tried to live by long before he decided to run for office. Before he became one of the Democratic candidates trying to flip Indiana’s 9th Congressional District, Canon worked as a civil rights attorney. Canon pointed to this experience as one reason he could successfully represent the people in his district. This desire to be a voice for people who need help will easily translate into the job of a congressman, Canon said. A willingness to listen, empathy for others and an ability to solve problems creatively are vital skills in both careers he said he already employs every day. Campaign manager Dustin Collins also highlighted Canon’s experience in civil rights law. Fayrouz Saad grew up as the daughter of immigrants who taught her anyone can achieve the American dream through hard work and determination. After graduating from the University of Michigan, she got her start in politics as a field organizer for John Kerry’s presidential campaign. She worked in state politics before being inspired by President Obama and later landed an appointment in his administration fighting domestic terrorism at the Department of Homeland Security. Her work in numerous political offices showed her that voters “want to talk about the issues. They want to see how people feel. Before they send their next representative to Congress and to Washington, they really want to make sure that person knows what they’re talking about and aligns with them,” Saad said. Now, Saad could become the country’s first Muslim American congresswoman. The seat that Saad is running for representing Michigan’s 11th district has been held by a Republican for the last two elections, but the sitting congressman, Republican Dave Trott, has announced he won’t run again. As it stands, just 105 of the 535 congressional House seats are held by women, a mere 19.6 percent. According to the Pew Research Center, women and ethnic minorities each compromise less than 20 percent of lawmakers, with more than 90 percent of Congress identifying as Christian. Saad believes that’s why it’s important for her to have a voice and a seat at the table. “If we want to have a representative democracy and a representative government, then those have to be elected leaders as well,” Saad said. Now less than a year before Election Day 2018, a new WBUR poll (topline results, crosstabs) finds that U.S. Sen. Elizabeth Warren and Gov. Charlie Baker both retain wide leads over challengers who are struggling to gain broad public attention. Warren is viewed favorably by 55 percent of Massachusetts voters, according to the survey, and the Democrat has advantages of at least 23 percentage points when faced off individually against her four declared challengers. Baker is viewed favorably by 67 percent of the state’s voters, and the Republican holds leads of at least 34 points against his three declared Democratic challengers. Ok, that’s awesome, he wants to reduce income inequality and he wants to provide healthcare for all and his last name is Love. Can we get @LoveforUSA please? At a meeting filled with angry parents, Erie town trustees said Tuesday night they were also unaware that an oil and gas site had been venting fumes into a nearby elementary school until they saw it on the news. “I was just as alarmed as all the citizens of Erie to hear about this over the weekend—two months after the fact,” said Erie Mayor Tina Harris at Tuesday’s meeting, which comes on the heels of two reports by Denver7 that exposed the venting near Aspen Ridge Preparatory School. Town trustees told the packed meeting they were launching an investigation into why they weren’t told about the violation by Crestone Peak Resources, the company that owns the well, until more than a month after the company was ordered to cease operations at the site. The executive director for the school, Todd Cordrey, told Denver7 Monday that the school spoke with the Colorado Oil and Gas Conservation Commission staffers who visited the site on Sept. 12, but said COGGC did not tell the school that Crestone had been cited. Dozens of parents, some with their children, testified at Tuesday’s meeting, saying the town and their children were “under assault” and “under siege” by oil and gas companies. The pipeline is a project of Dominion Energy, Duke Energy, Piedmont Natural Gas and Southern Company Gas, a collective that hopes to build the $5 billion-plus project in 2018 and begin using it in 2019. The nearly 600-mile line would run from West Virginia into Virginia and through North Carolina, and would be used to transport fracked natural gas from the Marcellus shale drilling region in West Virginia, Ohio and Pennsylvania. The gas would be used primarily by power generating plants. Its proponents have promised that construction of the line would bring 17,000 temporary jobs, would keep energy costs lower for North Carolina users, and would be safe. Critics say it is unnecessary because North Carolina already is bisected by a gas pipeline to which power companies have access; there are no guarantees that there won’t be catastrophic explosions as have occurred on other gas pipelines; it will commit the state to the continued use of fossil fuels and deter development of renewable sources; and that it would cause irreparable environmental harm to wetlands and streams including the Roanoke, Tar, Neuse and Cape Fear rivers. The pipeline would traverse eight counties in Eastern North Carolina, and its developers would build a compressor station in Northampton County to push the gas through the line. The NAACP report says that low-income African Americans who live along the pipeline route – in what the report calls fence-line communities – already are at higher risk of illness than the general population, and exposure to pollutants associated with the pipeline would make their problems worse. In particular, the report says, in Northampton County where the compressor station would be built, the population is 54.6 percent African American and the median household income is $31,453, nearly $15,000 below the state average. Almost 32 percent of the county’s residents live in poverty, the report notes, compared to 17.2 percent statewide. One month after it approved the controversial Mountain Valley Pipeline, a federal agency is being asked to think twice by a chorus of critics. Some 22 petitioners — including landowners whose property the pipeline would dissect, counties it would cross and conservation groups who say it would leave a trail of environmental damage — filed documents Monday asking the Federal Energy Regulatory Commission to order a rehearing of its Oct. 13 decision. The requests outline a variety of grounds on which opponents argue that FERC erred when it granted a certificate allowing a 42-inch diameter, 303-mile buried pipeline that would channel natural gas at high pressure through the two Virginias. While some opponents concede that FERC is unlikely to reverse itself, the petitions are a necessary step toward a possible legal challenge that would seek a delay in construction. Since it was proposed three years ago, the project has unleashed a groundswell of opposition from those who say it would cause lasting environmental damage, sink property values, threaten public safety and prolong the nation’s dependence on fossil fuels. In an effort to stop the Atlantic Coast Pipeline, Friends of Nelson filed a request for rehearing with the Federal Energy Regulatory Commission on Monday on the commission’s recent decision to issue a Certificate of Convenience and Necessity for the natural gas project. “We request that the Certificate Order and deficient final environmental impact statement (FEIS) be withdrawn and the environmental analysis and public convenience and necessity analysis be redone in a manner that complies with FERC’s obligations pursuant to the National Environmental Policy Act,” the 74-page filing says. Friends of Nelson, an anti-pipeline group, said it filed the request on behalf of 63 property owners and county residents along with four community organizations. “One thing is clear and that is that Nelson County’s interests are well represented by those who have committed themselves to opposing the ACP,” Friends of Nelson President Ernie Reed, who last week was elected as Nelson’s new Central District supervisor, said in a news release.